THURSDAY, APRIL 25 — Day 3 of our trip to Dublin started with a sight-seeing tour of the city. The highlight was a visit to St. Patrick’s Cathedral, which was built around 1220 in honor of Ireland’s patron saint. The city tour ended at Trinity College, and just around the corner was Porterhouse Central, where we had lunch as I mentioned in an earlier post. 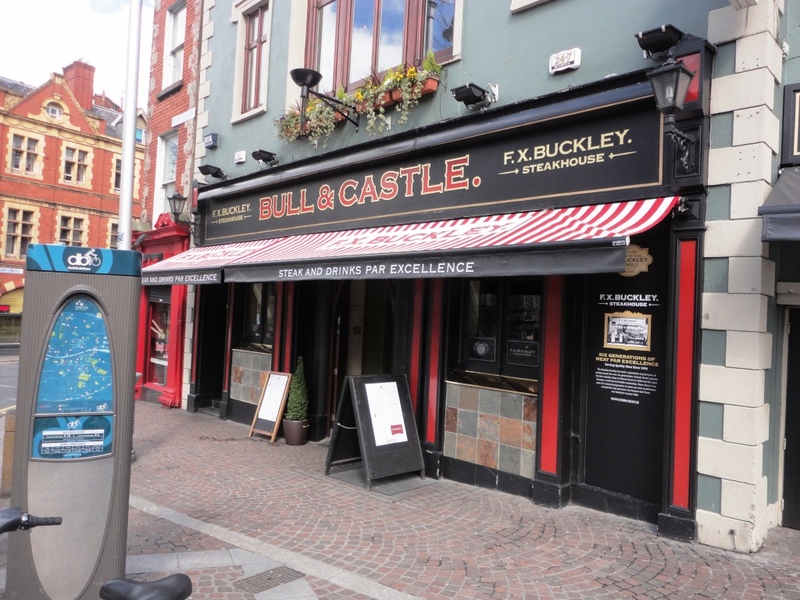 After lunch and shopping for souvenirs, we decided to try a pub recommended by a Dubliner – The Bull and Castle. You usually can’t go wrong when you get advice from the locals, and The Bull and Castle did not disappoint. 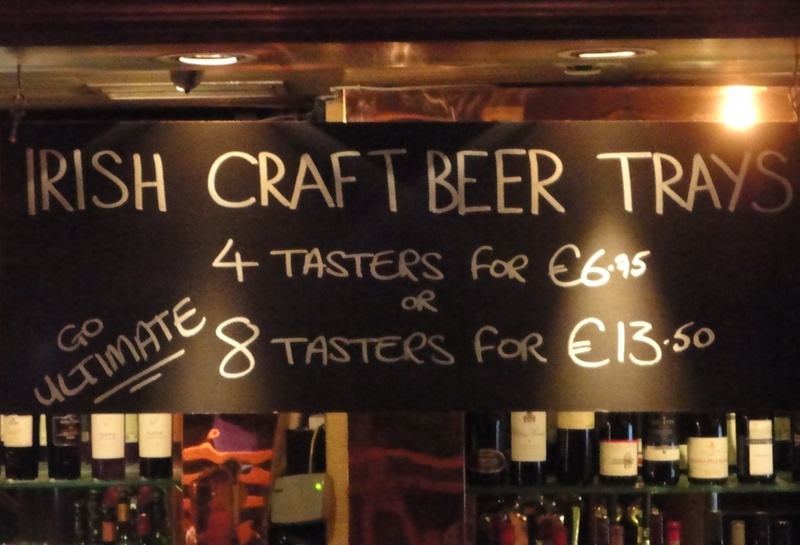 Beer Sampled: I ordered a 4-taster beer tray, and the server was friendly and patient as he helped me select local brew from the large Irish craft beer menu. Chameleon Garnet, an Amber Ale with with hops from three Continents. Finally, I had to include the pub’s house beer, F.X. 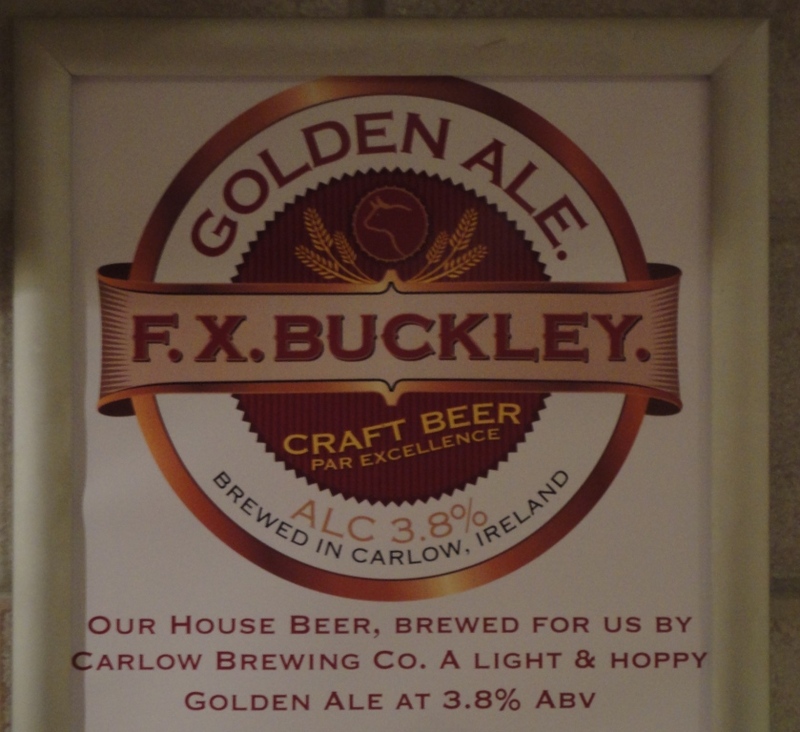 Buckley Golden Ale brewed by Carlow Brewing Company in Carlow, Ireland. This light Golden Ale was a true session beer at 3.8% ABV. I would have gone for the eight-taster beer tray but I had to pace myself for dinner later that evening. We had dinner with the group from Beth’s company at a beautiful restaurant called The Church. The former St. Mary’s Church of Ireland was built in the 18th century, closed in 1964, neglected for over 30 years, bought and renovated in the early 2000’s, and then reopened in 2005 as a restaurant. With a group of almost 100, we took over the crypt on the lower level. I’d love to go back and explore more of The Church, which is spread among four different levels and boasts the largest outdoor terrace in Dublin. It was a really cool place, and the beer selection was decent too. 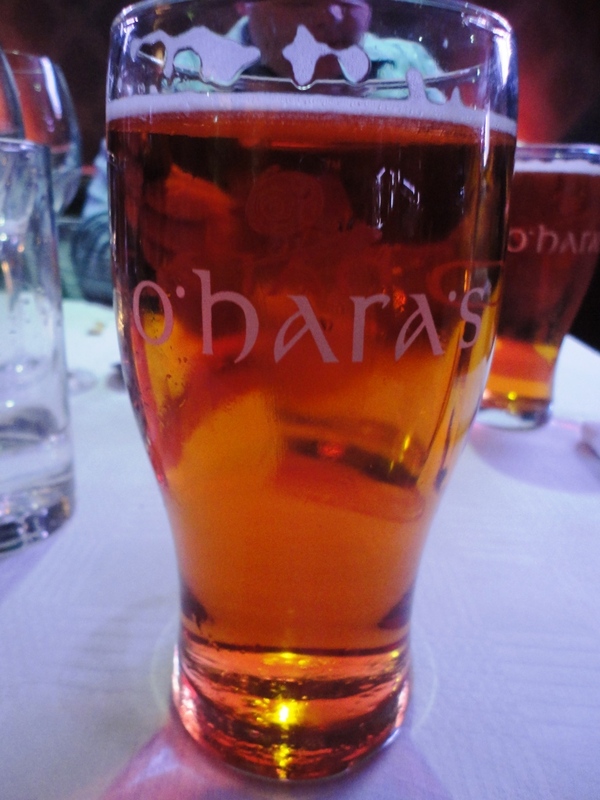 And this beautiful O’Hara’s IPA from Carlow Brewing Company.